Before you travel, it’s important to verify whether there are any expected delays or if any timetable changes have been made to your journey. 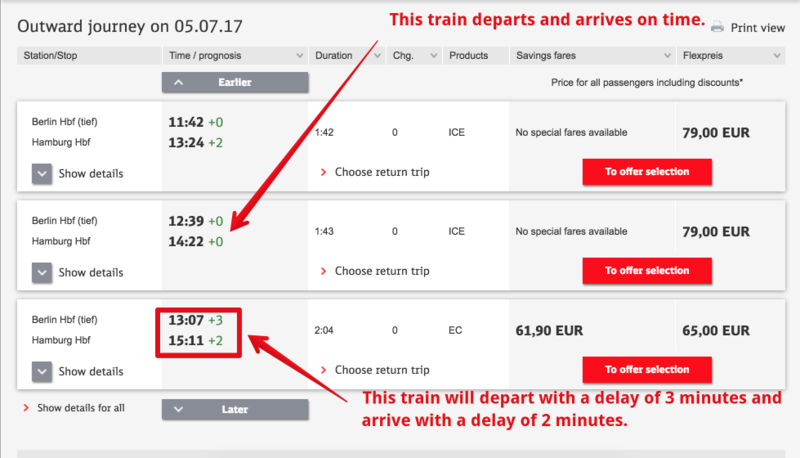 You can find live departure information in real time directly via Deutsche Bahn. This will help you stay informed and up to date. 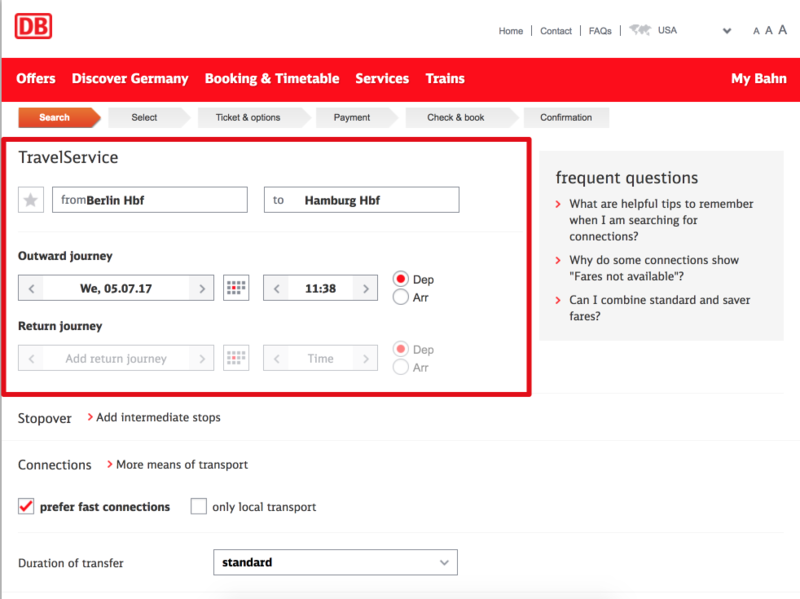 Enter your departure and arrival information and click on search at the bottom of the page. On the next page, you will be presented with all the available results. Please take careful notice of the times indicated. You may see here that your train leaves later or earlier than planned. Additionally, there may also be further traffic information displayed in case of larger disruptions.